Walter E. Nelson Co. of Eastern Washington – Walter E. Nelson Co. 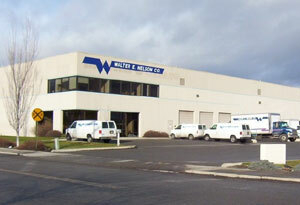 Servicing Eastern Washington and Northern Idaho from our convenient location next to I-90 in Spokane, Walter E Nelson is the trusted “go to” for keeping your facility clean and healthy. We go beyond stocking the usual cleaners and supplies and have tailored our product offering to match the unique needs of businesses in the Eastern Washington Region. From industrial laundry systems and chemicals for the growing hospitality industry to economical dilution control systems for local schools, we are here to support the success of the community. We are known to go “above and beyond.” As a matter of fact, we provided the Spokane and Coeur D’Alene areas with the equivalent of 100 semi-truck loads of Ice Melter last winter. What makes us special? We are a highly educated collection of cleaning experts that knows the challenges that you are facing every day at your business – We know the “science” of cleaning. Let us cater a comprehensive cleaning program to your specific trouble areas keeping them more inviting, attractive, safer, and healthier. It is a proven that handwashing in schools reduces absenteeism. It is also proven that sparkling floors can increase the amount of customer sales in retail establishments. Invite us into your workplace and let us know how Wenco of Spokane can help you.